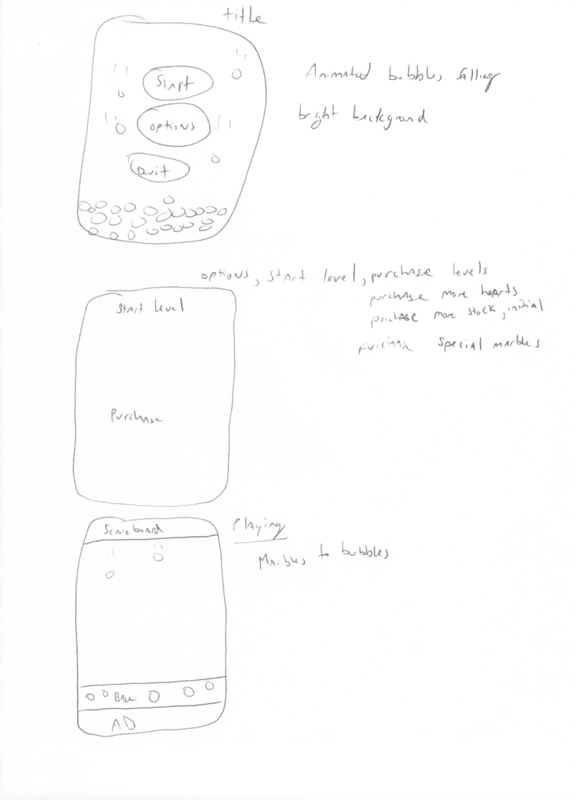 After yesterday's rant about the vision documentation, we sat down and started tossing ideas around for a new game. We started out by saying what we can't do -- specifically, a project that doesn't involve complex graphics or animation, and to speed things up a bit, recycling simple graphics, and redoing and upgrading existing assets that the business already owns, specifically for art, but really should recycle anything and everything to save time and money. If you're familiar with our catalog of titles, you know that we don't particularly have a strong set of visually intensive titles at our disposal. On our budget, we can't really afford an animation house and lack the experience in-house to really make it happen... therefore, the design of the game had to involve basic elements and basic graphics. More visual candy will come in time, but we'll work our way up. 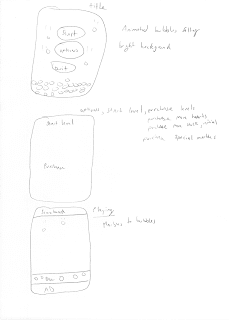 That said, we began throwing ideas around about a board game, and a bubble popping game. We went back and forth a bit, but settled on the bubble popping game (oh no, not another one of those!). "The project" was now being fleshed out. Attached here is our gibberish of ideas, which by themselves don't really mean too much, but combined with the talk we had back and forth, makes more sense to us. 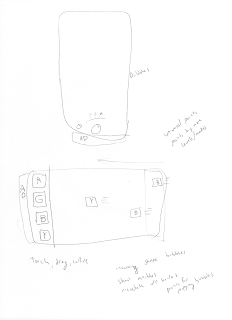 The scans of the documents turned out "meh", but you get the idea, basically in the doodling vision stage, we put down ideas and jotted some notes while having discussions. 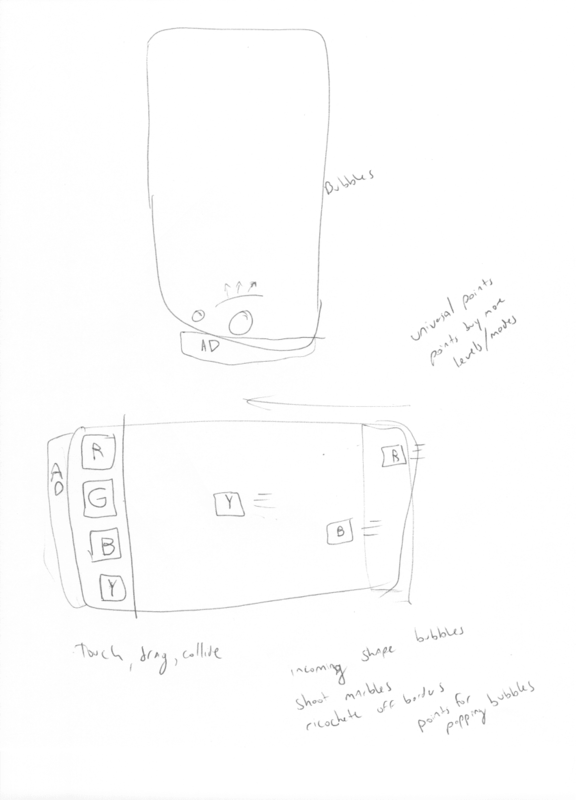 Here are scans of two of the documents we came up with. The next logical step is to start creating the game design by combining the talking with these notes. However, the next blog entry will reflect on Risk Management (arg, management stuff), then we'll get to the design of the actual game.